Every Friday, Feast at Sheraton Grand Hotel, Dubai transforms into a playground of flavours for foodies, taking you on an entertaining journey around the world through your plate. This vibrant venue showcases some of the finest international flavours in a spectacular setting, sure to get your weekend rolling on the right note. Feast's chefs present traditional delicacies from various regions across the globe including street food from the Far East, British classics as well as Middle Eastern favourites. And with plenty of activities to keep the little ones occupied, this brunch is sure to be a hit with the whole family. 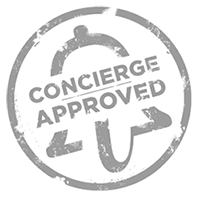 Save yourself a spot as a myconcierge member for exclusive discounts on packages. The tempting aromas of freshly baked bread and spices that waft through the air will get your taste buds going the moment you step into Feast. Spread across live stations at the venue are a selection of cuisines that promise to take you to the streets of Malaysia and to quaint villages in North India. On offer is also an assortment of Mediterranean-inspired seafood as well as a counter dedicated to cheese. The beverage selection features signatures crafted by the restaurant's expert mixologists. We'd definitely recommend the melon punch which uses different types of melons as well as the lemongrass iced tea, which uses a blend of Sri Lankan and Thai tea leaves. Make sure you save plenty of room for dessert as Feast offers a splendid selection of homemade ice cream, delicate French pastries as well as a spread of all things chocolate; think mud cake, mousse, brownies, pralines, cookies and more. While the sheer selection of treats at the venue will ensure your glasses are never empty and your plates are always full, there is so much more to Feast's Friday brunch. Keeping you entertained all through your meal is the live culinary artistry by the restaurant's chefs manning the cooking counters as well as a live band performing classic melodies. The younger guests, too, will find themselves well taken care of with plenty of activities to enjoy. From colouring to cookie decorating with chefs, there's plenty to keep them entertained while you feast away. Also crafted especially for them is all their favourite treats, which they can tuck into at the dedicated children's buffet.